This American Dry Gin made in Greenpoint, Brooklyn has a delicate, fresh, fruity nose with hints of juniper, yellow citrus, and elderflower. On the palate the juniper leads and is followed quickly by citrus, ginger, sweet cinnamon, and chamomile. Try it in a Martini with a twist. This gin is made from a wheat base, with major botanicals such as chamomile, blue ginger, Ceylon cinnamon, elderflower, and juniper. Many new American gins unabashedly display their botanicals like peacocks. Greenhook takes a more subtle approach. A balanced blend of elderflower, chamomile, cinnamon and a hint of juniper seduce your palate. This is an assured debut from Greenpoint, Brooklyn-based Greenhook distillers. Give it a shot with Fever Tree's Bitter Lemon Tonic. If you're a martini lover, like me, try it with Dolin Vermouth de Chamberey Blanc and a lemon twist. 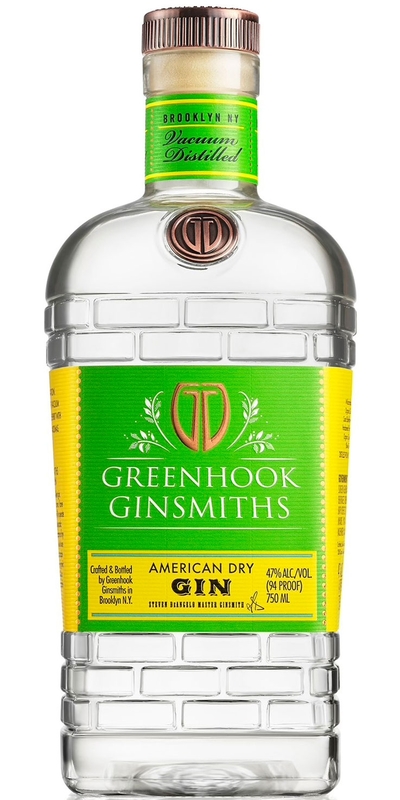 Notify me when Greenhook Ginsmiths Dry Gin is back in stock.